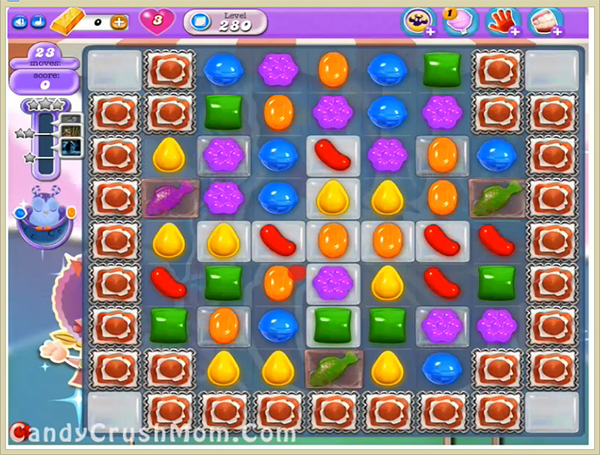 This level have normal difficulty and you need to play with few tricks and strategy to complete this level easily. For this level first try to play more with center jellies. wait till moon struck then use special candies like colorbomb or striped candy or combos then in last use fish and complete this level easily. We completed this level with 4880 using above trick and got luckily single star score at the end of the level.